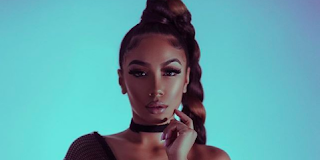 Instagram model Lani Blair, one of the women Cleveland Cavaliers player Tristan Thompson allegedly cheated on baby mama Khloé Kardashian with, is making money moves. According to Us Weekly, Lani has been approached to star on a show called, you guessed it, "Goal Diggers." Chronic VH1 host/wife of basketball player Carmelo Anthony, La La Anthony, is the mastermind behind the show, because of course she is. La La also spoke to Billboard about the premise of Goal Diggers back in Sept 2016: “It’s about women who are trying to form businesses and become entrepreneurs: makeup lines, pajama lines, modeling and a lot of cool, different things." Just days before their daughter was born, reports emerged of Tristan cheating on Khloé. The Kardashians had voiced "concerns" about Khloé's decision to date another NBA player after her marriage to Lamar Odom. "Khloé’s mom, Kris, and sisters Kim and Kourtney, all had concerns about her relationship with another basketball player, and now their fears appear to have serious merit," a source says. "Women are constantly throwing themselves at professional athletes, and it’s very easy to stray when teams are on the road. Kris never expressed her fears to Khloé because she felt it would cause nothing but drama and create tension."